A package delivery robot test that's been underway around Logan Circle, in the District, since last summer hasn't been entirely without incident. 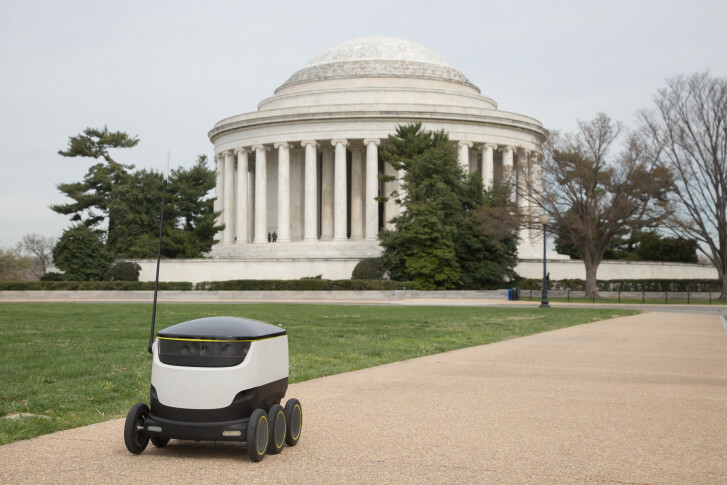 WASHINGTON — A package delivery robot test that’s been underway around Logan Circle in the District since last summer hasn’t been entirely without incident. London-based Starship Technologies, the only company that applied to participate in the District’s Personal Delivery Device pilot program, has reported to the District Department of Transportation three collisions that have occurred during operations, all of which involved a motor vehicle striking the PDD. Starship Technologies also says that in each case the PDD had the right of way and the motor vehicle operator failed to yield. Since last June, the delivery robots have made more than 6,500 trips, traveling at a speed of a little over 2 mph. The average delivery distance is about 1.5 miles. Under the terms of the city’s pilot program, Starship Technologies is allowed to deploy a maximum of five PDDs at any given time. For safety, the robots are outfitted with nine cameras that are always recording, and two-way audio to communicate with people they interact with.